Pembroke, ON – MP Cheryl Gallant (Renfrew-Nipissing-Pembroke), the Official Opposition Critic for Northern Ontario Economic Development, is questioning how FedNor funding ended up going to a company based in Mississauga. Yesterday, the Minister responsible for FedNor and the Member of Parliament for Mississauga-Malton, announced $150,600 from the Northern Ontario Development Program would be going to the Ontario Natural Food Co-operative located in the riding of Mississauga-Malton. The Northern Ontario Development Program funding criteria states that recipients must be located in Northern Ontario, defined as the census divisions of Muskoka District Municipality, Nipissing District, Parry Sound District, Manitoulin District, Sudbury District, Greater Sudbury Census Division, Timiskaming District, Cochrane District, Algoma District, Thunder Bay District, Rainy River District, Kenora District. “Why did the Minister break the rules to fund an organization in his riding?” asked Cheryl Gallant, M.P. According to Statistics Canada the unemployment rate in Northern Ontario is 11.8%. In the Greater Toronto Area, the unemployment rate is 7.1%. 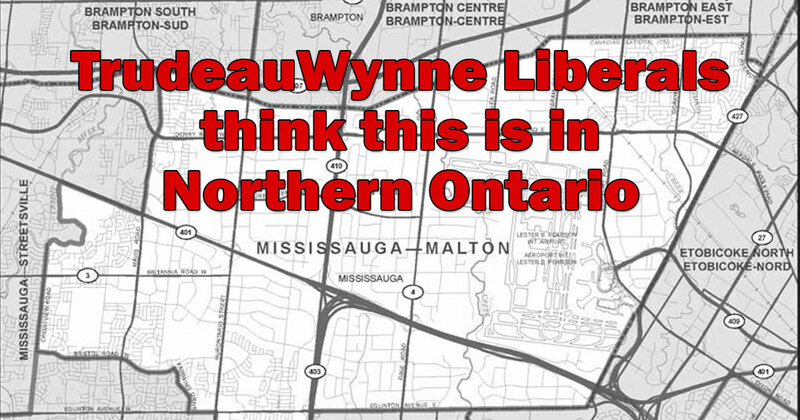 “Using FedNor funds for political patronage in Toronto is just the latest example of how the Liberals abuse taxpayers’ dollars while undermining Northern Ontario’s economy.” said Cheryl Gallant, M.P.